The Inspiring True Story of an LDS Missionary in Post-Apartheid South Africa. By the late 1990's, South Africa was in the midst of heavy political and social turmoil. With the ending of Apartheid in 1994, which was a legalized system of racial segregation which heavily curtailed the rights of the black population, the country was left in a dangerously challenging situation. The white population, who had enjoyed relative wealth, government protection, and exclusive employment opportunities, were now forced to share those resources with the massive majority population of native black Africans. Native Africans, who had been socially, economically, and physically oppressed for centuries, were now allowed to leave their reservation-like townships and come into the cities and suburbs. Having been held back for so long, black Africans continued to experience severe poverty. As new opportunities were thrown at them, poverty-driven crime rose to a frightening level, leaving sour feelings in the hearts of the country's general population. It became a time of anger, reunion, bitter feelings, fear, and hope. 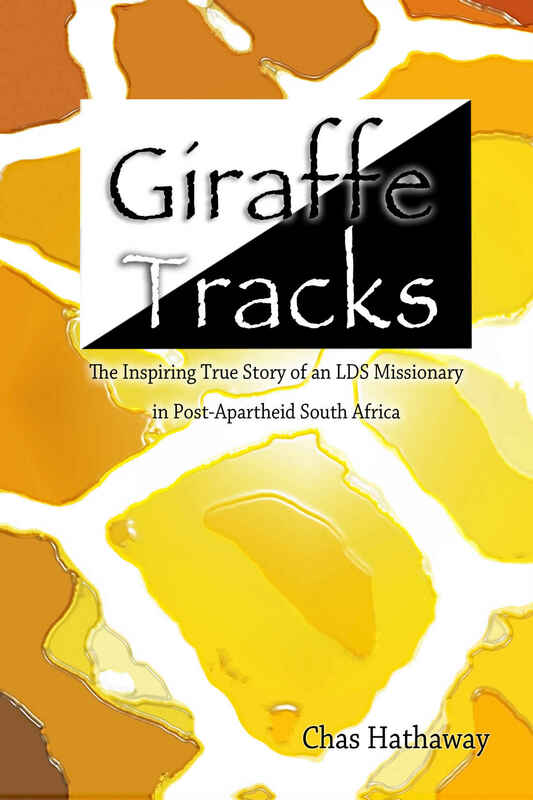 Giraffe Tracks is the true story of an LDS missionary serving in the Johannesburg, South Africa Mission only a few years after the ending of Apartheid. Using compelling stories, humor, and spiritual insight, the story demonstrates that even in a land overflowing with crime, poverty, and racial hatred, peace and joy can be found through the gospel of Jesus Christ. As the powers of evil shake the foundations of human society, the truth and light carried in the testimonies of the Lord's missionaries can change hearts, heal minds, and turn fear and hatred into faith and love.